Acrylic Pour Dish with Room To Imagine. 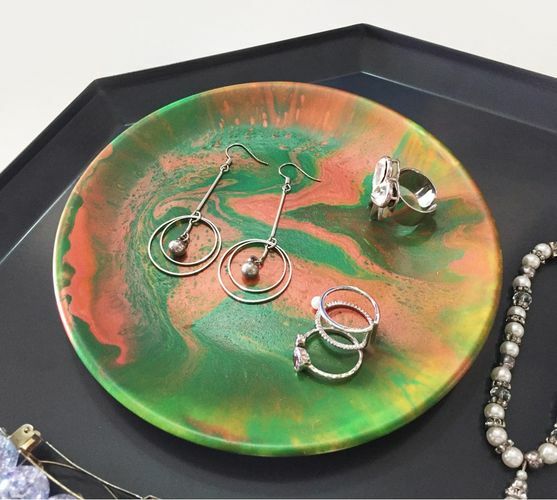 Jazz up your tabletop and stay organised in style with your own unique Acrylic Pour dish! Receive step-by-step guidance to create this functional and beautiful piece that you can use daily for organising your keys and other accessories. Materials and tools will be provided.